Expanding its range of colours, Alusplash has introduced the Elegance Collection of aluminium splashbacks. 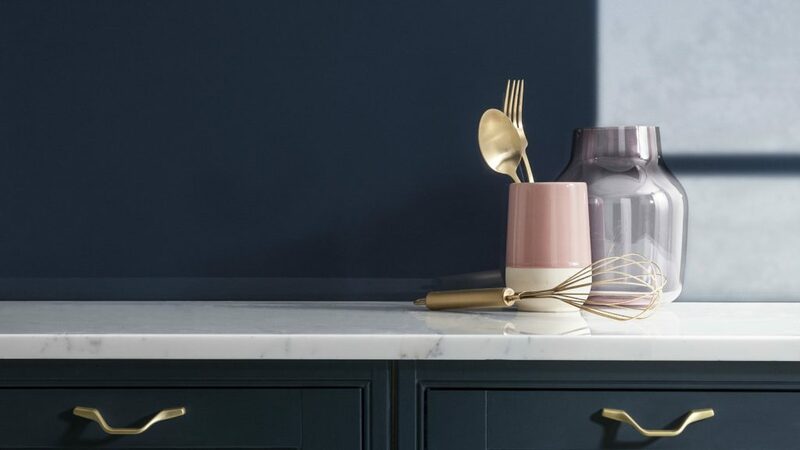 The Elegance Collection is available in 10 colours: Blueberry (shown), Bright Olive, Ebony, Ice White, Latte, Ocean Wave, Petrol Blue, Silver Brushed, Space Silver and Warm Grey. Alusplash panels are also available in a choice of pastel colours. The aluminium wall panels have been designed as an alternative to glass, acrylic and tile splashbacks. All feature a high gloss look and are claimed to be fire-resistant and steam and water resistant, so can also be used in the bathroom. Alusplash panels are available in three sizes: 800 x 600, 800 x 900 and 3050 x 545mm and measure 4mm thick.